This map contains territory of Brazil. You can find here city Maraba free download. Displayed city Itupiranga marked. 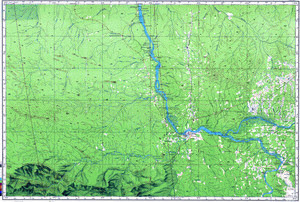 On this map Vitoria presented. On this map Viracaozinha free download. Viracao Grande for Garmin. Displayed Vila Brabo download for free. Displayed Vila Bela free download. You can find here Tucuriu marked. Displayed Tortinho for Garmin. On this map Sao Sebastiao do Tocantins marked. Sao Pedro download for free. You can find here Sao Paulo marked. You can find here Sao Mateus download for free. Sao Jose for Garmin. You can find here Sao Joao do Araguaia marked. Displayed Sao Felix marked. You can find here Sao Bento for Garmin.